Being able to go to Disney as a toddler is their dream come true. If you took a trip to Disney as a child, you can relate, right? Walking through those gates and taking it all in for the very first time is a memory that will live in their mind for many years to come. Not to mention the ability to interact with their favorite Disney characters throughout their entire Disney visit? Simply amazing. There’s a reason it’s referred to as the happiest place on Earth. 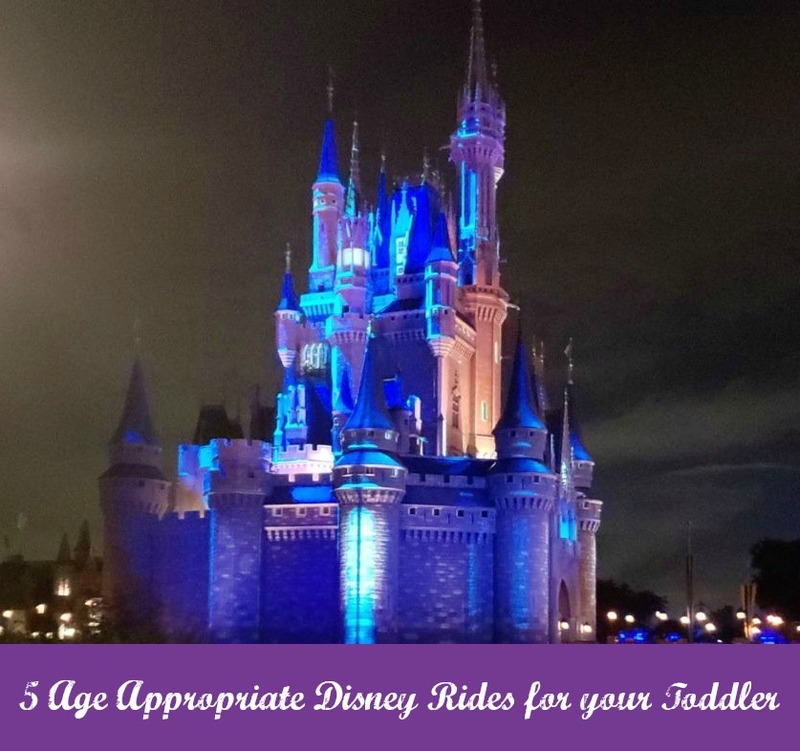 If you are thinking of taking your toddler to Disney for the first time, it’s good to be prepared with a few tips of age-appropriate rides for your toddler as well. You don’t want to waste time standing in line only to find out that it may be just a little too old for your little one. Astro Orbitor. If your little one likes to fly high in the sky, but not too high, then this is the ride for them. And the fun part is that it can hold two so you can actually ride this fun little ride along with them. Let your toddler sit in the front and “steer” the ride so that they get to control how high in the sky they truly want to go! The Barnstormer. Why not give your toddler their first true experience of a rollercoaster with this fun ride? It’s Goofy-themed, so you know it’s going to be a bit wacky. And while the speed is manageable for a toddler, there are a few small drops that may make their tummy tickle for sure. Ride along with them and throw your hands up in the air! It’s fun channeling your inner child! Buzz Lightyear’s Space Ranger Spin. A fun and interactive game that allows your toddler to take charge and try to save the universe. If they are a Toy Story lover or a Buzz Lightyear fan, then this ride is a must for you and your toddler. Dumbo the Flying Elephant. Everyone loves Dumbo! This adorable classic ride is always a win for every child. Hopping on Dumbo’s back and taking a flight through the air? Yes, please! Be prepared for your toddler to request to ride this ride over and over again! “It’s a Small World”. Looking for a fun and relaxing ride to embark on with your little one? “It’s a Small World” is the one you’ll love the most. Once you set sail through the different countries of the world, you’ll spend a glorious 10 minutes listening to beautiful music and songs and seeing some of the most vibrant colors and costumes combined. Your child will love this just as much as you. While the above 5 rides are suggestions of what is age-appropriate for your toddler, make certain to always do your research beforehand. Disney does a great job on its website listing out all the rides, attractions, and events and labeling them as to what age is appropriate to participate. Keep in mind that there are a TON of rides that are suitable for your toddler, but you may not have time to get to them all! Do your research and talk to your child about the rides that they are most interested in, and then make a plan to ensure that they’ll get to ride them. The best part about Disney? It’s full of fun no matter how many rides your toddler actually gets to ride! Have fun doing your research and planning ahead and see if you are able to ride the suggested age-appropriate toddler rides above. Not only are they great rides, your toddler will love them as well!